During the last few weeks I was working on a study on food waste, and how our attention started to shift to this problem. In many aspects, the story of food waste is a story of success. Rich countries produce 3-4 times the food they actually need, which means feeding the world is a solvable problem. In many other aspects however, the situation is more than tragic: we waste 1.2 to 2 billion ton of food every year, produce most of our grains and many other grocery products for animal consumption and destroy rain forests and biodiversity to cultivate food we don’t even need really. But it’s up to us if the story becomes a tragedy or a comedy in the end: with surprisingly straightforward and common sense steps, a bit more of conscientiousness, information and better tech, we can solve this question and reduce hunger all over the world. You can read the full article accompanying the slides, and how a Barcelona startup aims to disrupt the current distribution system here on Barcinno. Fast Fun Facts – What has triggered the highest tweet per second to date? Browsing through Internet Live Stats and it’s data on Twitter, I bumped into this curious fact. However the usual amount of tweets per second is around 6 000, the highest peak to date has seen 143,199 posts on the microblogging platform. And what did trigger it? 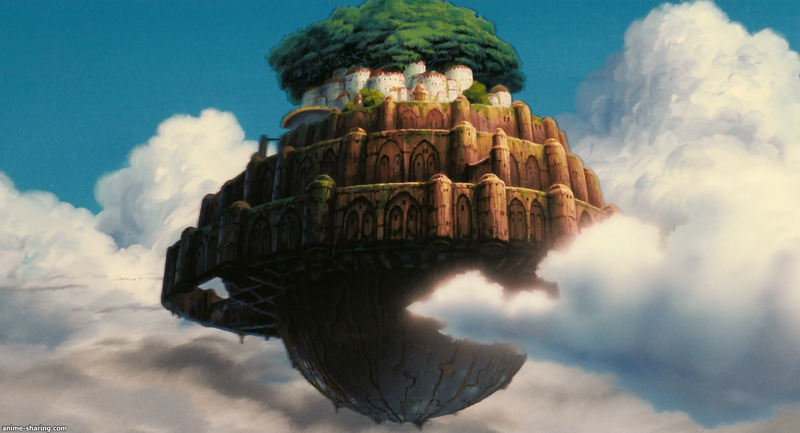 Apparently, all the chit-chat on August 3, 2013 was around the TV airing of Hayao Miyazaki’s beautiful (and sometimes quite frankly frightening) Castle in The Sky animated movie in Japan. Quite a testimony of the wonderful animator’s pop culture icon status and the love of his work. While we are here, a note on localisation: it’s not a coincidence that while the original title is Laputa: The Castle in The Sky, the name of the flying island was excluded for distribution in several countries, including the US, Spain and Mexico. La puta in Spanish slang means “the whore” and considered offensive for many. A good reminder for all of you considering international expansion to double-check what your brand name may mean in other languages.